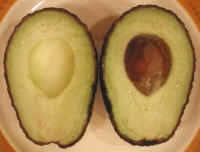 (Avocado, Haas) In our opinion, the Haas avocado is the best tasting of all varieties; it is also the smallest. Unlike most other fruits and vegetables, which are relatively low in calories, avocados are high in calories because of their mono-unsaturated fat content. 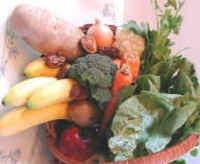 They can be cut in half and eaten out of the "shell", cut on salads, made into dips, or sliced and used in sandwiches. 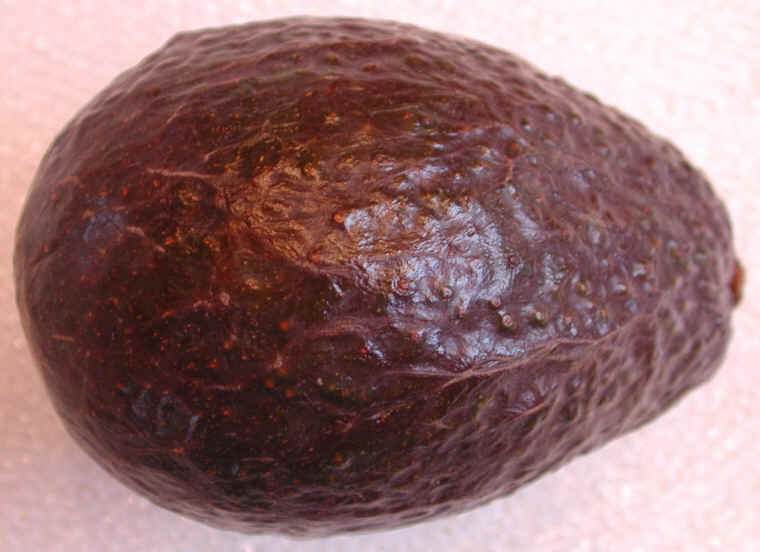 Choose avocados that are firm or slightly soft to the touch, but free of depressions. When avocados are ripe, they are slightly soft to the touch. They will ripen on the kitchen countertop; and when ripe, they can be stored for a few days in the refrigerator. We could not find any specific nutritional information for Haas avocados, so we included a general chart. See the nutritional chart below. 1 Based on 86% California and 14% Florida varieties.